Investigation into official response to double terror attack last summer also found that the attacker could have been arrested much sooner. 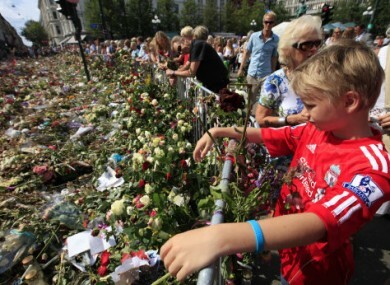 1 August 2011: Floral tributes to the victims of the two attacks are left outside Oslo Cathedral. NORWEGIAN AUTHORITIES could have prevented the first of twin attacks that killed 77 people in July 2011 and arrested Anders Behring Breivik sooner as he carried out the second, investigators said Monday. An independent commission tasked by Prime Minister Jens Stoltenberg with reviewing the authorities’ response to the attacks submitted its 500-page report to him on Monday, handing down harsh criticism of both the police and the government. On July 22, 2011, Breivik set off a car bomb outside government buildings in Oslo, killing eight people, before going to the island of Utoya, northwest of the capital, where he spent more than an hour gunning down another 69 people, mostly teenagers, and wounding dozens of others. The victims, the youngest of whom had just celebrated her 14th birthday, had been attending a summer camp hosted by the governing Labour Party’s youth organisation. “The attack on the government complex on July 22 could have been prevented through effective implementation of already adopted security measures,” the commission said. The 10-member commission criticised the fact that due to bureaucratic red tape the street outside the government office complex had never been closed to traffic in line with recommendations dating back to 2004. This enabled Breivik to park a small rental truck carrying some 950 kilos of explosives at the foot of the prime minister’s 17-storey office building. Stoltenberg was working at his official residence at the time and was not injured in the attack. The commission, headed by lawyer Alexandra Bech Gjoerv, also criticised the police’s slow response. More than three hours passed between the Oslo bombing and Breivik’s arrest on Utoya, where he spent an hour and fifteen minutes gunning down his victims. The report lamented police shortcomings before and during the Utoya shooting, noting the tardiness with which the description of Breivik and his vehicle were released, communication problems, failure to follow procedures, and inadequate means, among other things. Utoya is a small island located on a lake, just 600 metres from shore. The two officers who arrived first on the lakeshore should have done everything possible to get to the island, according to police instructions in the event of a shooting, but they said they couldn’t find a boat and had received orders to carry out tactical observations. It was ultimately the police’s elite Delta force, which arrived from Oslo some 40 kilometres away, that was first to land on the island at 6.27 pm, albeit after experiencing difficulties of their own. Their simple rubber dinghy was overloaded and broke down, forcing them to borrow two pleasure boats. According to the commission, if procedures had been respected, police could have been on the island by 6:15 pm, or 12 minutes earlier, which could possibly have saved lives, though the commission did not say as much. Stoltenberg said he “regretted” the “significant shortcomings” highlighted in the report, but ruled out his own resignation or that of any members of his cabinet. “The best way for me to take responsibility is to ensure that the necessary measures to improve security are carried out,” Stoltenberg told a press conference. Police meanwhile reiterated their apology for not arresting Breivik sooner, but also ruled out any resignations. The commission issued a list of 31 recommendations — some of which have already been adopted — ranging from better preparedness to limiting the availability of semi-automatic weapons and improving police helicopter capacity. Breivik’s 10-week trial on charges of “acts of terror” concluded in late June and a verdict is scheduled to be announced on August 24. Email “Oslo attack 'could have been prevented' ”. Feedback on “Oslo attack 'could have been prevented' ”.